One might think this is a very straightforward topic; degrees can be 1sts, 2nds or 3rds, where the bulk are the middle class, divided into 2:1 and 2:2. While largely correct, that is not the whole story. I explore this. Wikipedia tells us that classification began at Cambridge separating the middle half from the upper and lower quartiles, which is norm referencing, isn’t it? Things are a bit different at Oxbridge¹, where the degree is awarded on examination results. You may think this a fine, almost irrelevant distinction. At Cambridge there are exams at the end of every year, [prelims, tripos parts one and two], while at Oxford there is a year off [Moderations at the end of the first year and Schools (Finals) at the end] so the second year could be truly enjoyed, exam free—such a rarity in over-tested modern Britain. Why would you care? I well remember being lectured (you wouldn’t use the verb taught) by the excellent CA Coulson; 1928 Trinity Cambridge, 1931 graduated in maths, 1932 graduated in natural science (by taking Tripos part two in Physics), PhD in 1936. ² He was at Cambridge 1928-38. Coulson demonstrates that from the Oxbridge point of view it is not a matter of time served, but exams passed. Actually, he may well have sat Schools / Finals earlier and I was told (1972) he’d also taken finals in Chemistry. The rules in the 70s were that a degree would be awarded after a number of terms of attendance (who ever said there was any work done? ), preventing no-one from sitting more exams and collecting more degrees, just not allowing the award itself until sufficient time has passed. You may think this a small point. Things are a little different in Scotland too, where most universities have a foundation year, award an ordinary degree at the end of two more years and an honours degree at the end of one more, making a four year course. Sticking out for a Masters would add a fifth year. The prompt to write this piece at all came from JCM in California, who asked me to “parse Ruskin’s 4th class degree”. What follows is my reply. Fourths were, as I understood it, given to people who hadn't quite done enough to be given a degree, but had done enough to be not denied one. I think they ran from 1831 to 1973. 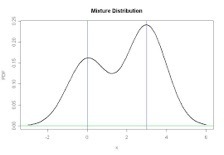 A typical example would be to have completed one question in Finals correctly, thus indicating that they were able to 'do' the subject, but did not convince the examiners that they had do more than have a sporadic familiarity with it. To test the validity of such an offering in Finals (also called Schools) a fourth was only awarded after an interview, known as a viva, or viva voce (live speech, my translation). One of the famous strategies was to set a target of having a 4th and a Blue, thus demonstrating that one could achieve practically anything by doing just enough. Such people were, apparently prized as employees, presumably mostly as salesmen. I tried and failed at this, having a third and being Blues reserve. I think they stopped about the time I finished, 1974, but I found this difficult to evidence. There was no suggestion that a 4th was given to those who were there only to win Blues (one can only win a Blue in competition with the opposition (Cambridge)); what one might call a ringer. I have no doubt that places were and have been and are given to those who enhance the university side, but the degree work is still required. That said, the systems for regulation are sufficiently well hidden, in an old boys' club sort of way, that it would be easy to think they could be circumvented. I suspect that the British system is a little more correct that that, political exceptions aside. It would not be right to declare that 1, 2.1, 2.2, 3 is equivalent to what was 1,2,3,4. Not at all. You might study the concept of going to university and doing self-directed work and then being called to account for what one had studied to test whether one would be awarded a degree, the original (as I understand it) route to a degree, as in Newton's day. What would happen now [to Ruskin] would be to be granted an Ordinary degree, not Honours. I had a friend who sat Finals and received an ordinary degree; he was invited to stay an extra year, to sit Finals again and receive honours; which he did. He has just retired as a very senior figure at Cisco (who make hard drives, not Cosco, who do Chinese shipping). Aegrotat degrees are awarded to those who are prevented by illness from sitting finals. This is then a degree awarded but unclassified. You might recall that I've told you (a lot of people who question how I got an MA on no work (idle bugger that I am), that Oxbridge degrees 'mature' to Masters. There are different ‘levels’ of education defined by the national Qualifications Framework and the Qualifications and Credits Framework. See gov.uk. There is a table on wikipedia in an article about the European Qualifications framework or try to see the real thing ³ that explains the general definitions, so you can see how an academic body would apply for recognition of an existing course or equally how they’d propose to raise the standard of a course to reach a targeted level. Well worth reading. I recently discovered the EU rules for what constitutes a Masters (level 7 on the new scale), which require a significant part of the degree to be based upon independent work (not research, study). Which Oxbridge satisfies, clearly (in the sense that this has been ratified, not that it is self-evident, though I'd confirm it). Since the support systems in both Ox and Cam are deliberately scanty, I can confirm that doing a degree there forces an independence of study that you would not find at other British universities except on specific Masters courses. My understanding of Socratic method suggests to me that some of the Ivy league universities go a similar route. I found this on The Tablet, from which I quote selectively, though I cannot reproduce the link correctly. "Fourths were first granted in 1831, when Sidney Herbert, of Oriel, obtained one, while his future colleague, Gladstone, of Christ Church, was carrying off a double-first; but a fourth was for a long time an honour of doubtful signification, for the examiners placed in that class passmen who had gone through their examinations with signal credit, and this they did without designating these passmen as 'Honorary Fourths.' When the late Lord Justice Thesiger was raised to the Bench at so early an age that his appointment was much discussed, the fact of his having won a Fourth only came out; but his former tutor explained that this was an Honorary Fourth, which proved that if Thesiger had not been prevented by ill-health from trying for honours he would probably have secured a first. There is no objection to calling this class, in specified instances, an Honorary Fourth, if it is at the same time understood that, in those instances, it means something more. If the Times writer had looked back to the paper of October 21, 1880, he would have found this :— Ultimately, however, Mr. Thesiger did not go in for honours in the final classical school, and he accordingly went in for an ordinary pass, and was placed as a compliment in the Fourth class. His papers in the schools [final exams, Cris] were so well done that, upon going in for the viva voce part of his examination, the examiner, after asking him a couple of questions advised him to allow the whole of his pass papers to be annulled and to go in for Honours. This was a most distinguished compliment, and Mr. Gordon, his tutor, assured us in a letter which we published in 1877, that he only remembered two other instances—that of the late Mr. Stephen Denison, who took the examiner's advice, and was placed in the First class ; the other, Mr. German Lavie, who was unable to act upon the examiner's advice, and received his Honorary Fourth. Mr. Thesiger followed the latter example. I wrote to the Times explaining that, Mr. Gordon, writing in perfect good faith, was not aware of what had occurred before he took his own degree; and giving all the details which you obliged me by printing in the Tablet of November 6, 1880. It will be seen that the person whom the Times writer, with easy familiarity, describes as Sidney Herbert of Oriel, shared with three others who, probably for varying reasons, decided to take a pass only, and not go into the Honour Schools—the Hon. G. F. Harris, of Christ Church, E. Otto Trevelyan of C.C.C., and the present writer— the "distinguished compliment" of being invited by the examiners to act, as the examiners of the later day invited Mr. Denison, Mr. Lavie, and Mr. Thesiger to act. I venture to quote a few lines of my letter in the Tablet of November 6, 1880 :— "After our examinations, viva voce and on paper, were over, the examiners sent with our testamurs a message that they wished to see us. They saw us one by one, and I presume used much the same language to each of us." I recollect with pleasure the handsome friendly manner in which I was told that what I had done had so fully satisfied them, that they intended to put me in the Fourth class ; and, further, asked me to come in for higher honours. My dear friend, E. Otto Trevelyan alone of the four, accepted the offer and received a higher class. July 21, 1883. DANIEL PARSONS, M.A., Oriel College. Top pic from google images. I had a hard time persuading the pictures to upload and had to eliminate my first choices. 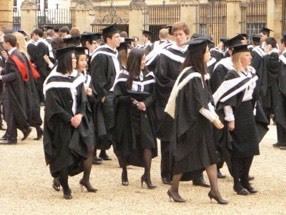 I had a hard time finding Oxford MA graduates, being the ones with a red lining to their hoods. There are far more like the one below with BA hoods in the foreground. Since the maturation period is short, they have validity only briefly and I imagine very few buy these gowns. I (own and) used my MA hood throughout teaching at Shiplake, it being required dress in church and at ‘official’ functions. I’m sure some parents acted differently when (because, really) we dressed in sub fusc for Parents’ Evenings. The seven gowns shown are from the Oxford supplier, Shepherd and Woodward (these found on the university site) are: Top row: MTh(eology) graduate, BM(edicine) graduate, BA graduate, MFA (Fine Art) graduate. Bottom row: MSt (Studies) graduate, MA graduate (the common one, DPhil graduate (PhD elsewhere). I have not listed websites visited on this occasion, unlike my recent habit, not just because I forgot, but also since so many proved useless in looking for this content. Where I found a use, it is linked. I also had serious problem with formatting these, so gave up and simply shoved them to the margin. 1 Oxbridge = Oxford and Cambridge. 2 Amazing man. Able chemist, physicist, mathematician. Lecturer in Physical Chemistry UCL 1945-7; Oxford, Chair of Theoretical Physics, Kings London 1947-52; a founder and first director of the Maths Institute in Oxford (1952 to 1974); Chair of Theoretical Chemistry, 1972. A conscientious objector during WWII, he taught Maths Physics and Chemistry at Dundee, a heavy load. I note also that he was Stanley Rushbrooke’s PHD supervisor; I knew Prof Rushbrooke as my father’s immediate boss at Newcastle and met him often when small (the ‘50s and ‘60s). The link refers to Father but gets his initial wrong. I had lectures from Coulson 1971-3. 3 I failed to find the real thing, but I didn’t try very hard. 4 In Scotland it is usual to have Honours after the 4th year, and an ordinary degree at three years. 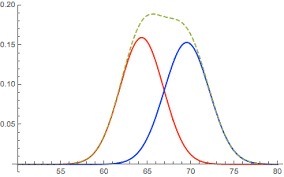 I suspect that the Scottish Higher School certificate is judged to be between AS and A-level rather like Chinese Gao Kao; something to do with the number of subjects; I think the total learning is similar but the system judges that the depth of knowledge is the issue. That contrasts with the steady dumbing-down issue, surely: at what point have we learned knowledge in a way or to such volume that somehow we lose the ability to analyse what we learned? • In 1951 there were 27,700 public primary schools or departments in the UK. These were attended by 4.8 million pupils, there was an average of 171 pupils in each school and an average of 30 pupils per teacher. • In 1951 there were 5,900 public secondary schools in the UK. These were attended by 2.0 million pupils; there was an average of 342 pupils in each school and an average of 20.6 pupils per teacher. • In 1949-50 there were 2.4 million students who attended grant-aided establishments of further education (again mainly evening and part-time courses) in England and Wales. • In 1953-54 10.7% of the relevant age group passed five or more GCE O levels at schools in England and Wales. 5.5% of the relevant age group passed one or more GCE A level and public sector schools and further education establishments. • In 1950 17,300 students were awarded first degrees and 2,400 were awarded higher degrees at UK universities. • In 1950 30% of 15 year olds, 14% of 16 year olds and 7% of 17 year olds were in full-time education in England and Wales. • In 2010-11 there were 21,281 public sector mainstream primary schools. These were attended by 4.9 million pupils, there was an average of 231 pupils in each school and an average of 20.4 pupils per teacher. • In 2010-11 there were 4,072 public sector mainstream secondary schools. These were attended by 3.9 million pupils; there was an average of 943 pupils in each school and an average of 15.3 pupils per teacher. • The average salary of full-time qualified teachers in public sector schools in England was £34,700 in November 2011. Which was my peak salary. Including when being called the boss. • Expenditure on education made up 13.3% of total public sector expenditure in 2010-11. • In 2010/11 there were 4.9 million learners who started a publicly funded further education course in the UK. • In 2010/11 79.6% of pupils in their last year of compulsory education in the UK achieved 5 or more GCSE grades A*-C or equivalent. In 2003/04 39.2% of the relevant age group passed two or more A levels or equivalent. • In 2010/11 331,000 full-time students were awarded first degrees at UK universities and 182,600 (all modes) were awarded higher degrees. • At the end of 2010 88% of 16 year olds and 76% of 17 year olds in England were in full-time education. 6 My attempts to produce a live graphic (one you could fiddle with) failed repeatedly so I scrubbed it. 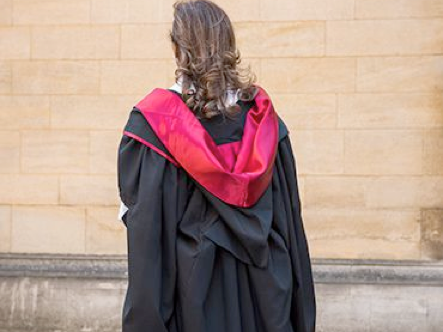 This last picture, the same as the one at the top, is what I think of as a ‘proper' Oxford gown and hood, the standard MA. The Cambridge equivalent is a very nice white, while it stays suitably unsoiled. No, there is no regulation hair length; I can think of several guys in my year with hair like this - then, they’re probably mostly bald now.